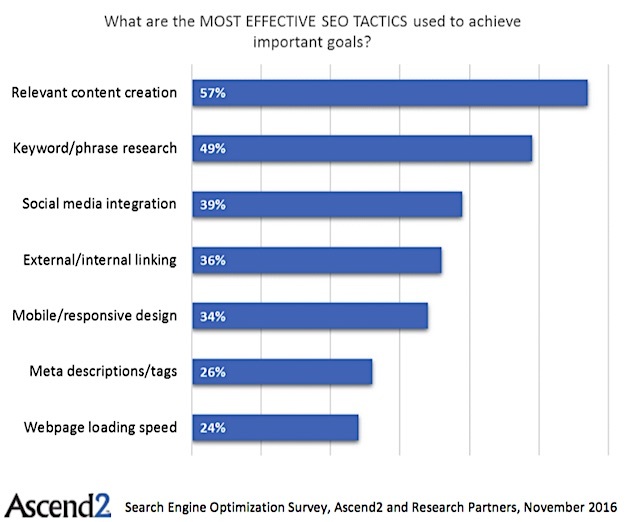 Marketers say creating relevant content is the most effective search engine optimization (SEO) tactic, according to recent research from Ascend2. The report was based on data from a survey conducted in November 2016 of 256 marketers (45% of whom work for B2B-focused companies, 36% for B2C-focused companies, and 19% for hybrid companies). 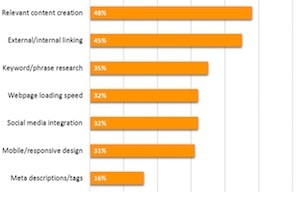 Some 57% of respondents say relevant content creation is a highly effective SEO tactic. Other top tactics cited are keyword/phrase research (49% cite as highly effective), social media integration (39%), and external/internal linking (36%). 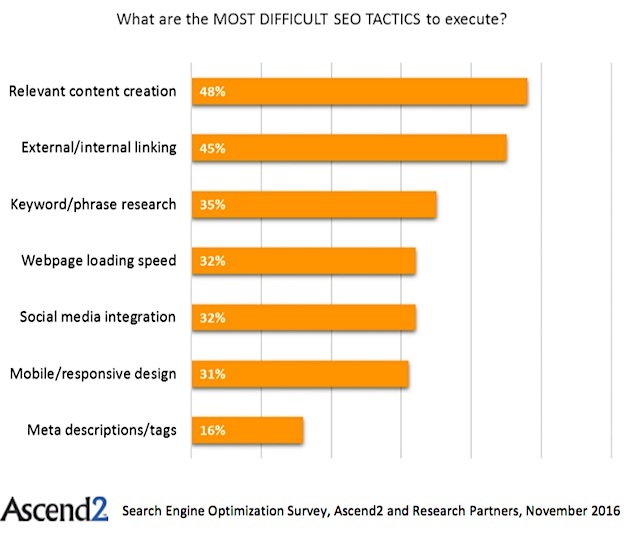 Marketers say the most difficult to execute SEO tactics are relevant content creation (48% cite it as one of the most difficult to execute), external/internal linking (45%), keyword/phrase research (35%), and increasing webpage load speed (32%). About the research: The report was based on data from a survey conducted in November 2016 of 256 marketers (45% of whom work for B2B-focused companies, 36% for B2C-focused companies, and 19% for hybrid companies).